QRLost is a system for recovering lost property using exclusive QR codes that can be placed on any possession and identify you as the owner. If you lose something, QRLost will help you recover it or contact the person who has it. You can register and protect any possession you want simply by placing a QRLost in a visible spot. The exclusive QRLost codes are high quality stickers, strongly resistant to daily use and specially designed to last as long as the possessions carrying them. QRLOST will help you recover lost property. Each QRLost's unique and exclusive encrypted signature will identify each item carrying one. It will be a type of ID Card associating it with its owner. 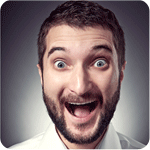 We offer several exclusive QRLost code packs that will meet your needs. What happens if I lose one of my possessions? Your QRLost code has an encrypted message for the person who finds your possession in the event of loss. This message will allow this person to contact you and return your lost property. If you prefer, we can handle recovery of your property. Congratulations! Here's your first QRLost®. Just for registering with QRLost, here's your first printable personalised code as a gift, so you can make as many copies as you want and place them on your most prized possessions. 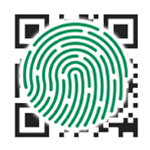 However, if you prefer, you can order all the QRLost codes you need and we'll send them to you. Congratulations! If the property has a QRLost code, you have the opportunity to perform a great deed and be rewarded for it. You can enter the code here. For possessions protected with a QRLost code, enter your account and state which one. Someone will find it and return it after contacting you. You can create a new account here. 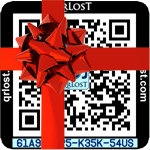 You can also download your first QRLost code free of charge, and print as many copies as you want. Log in to your account to protect new possessions, check your list of protected property and provide notification of lost property.